The story of Ulpo is quite tangled, full of disappoinments, trials and of course, perseverance. But first, I'm going to introduce myself, I'm Walter Veneros, film student, co-founder and executive producer of Ulpo.Being a leader and building a team is very complicated and important in this area. In fact, you can make a videogame by yourself, but it could take a long time, time you can use working with other people helping you. 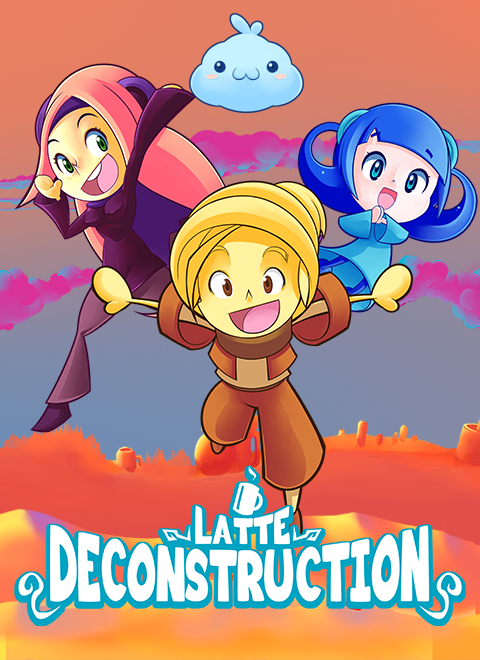 The Ulpo Media group, with which we are working now on Latte Deconstruction, was formed from the motivation of creators and the small fame that led us to our first game called Mr. Coffee Deconstruction.We started from two people plus the musician, and then we became a team of 10 people from different disciplines and with different points of view. It's interesting to see how things have evolved and as a small team have gone a quite large team. Instead of tell you about who we are, I'm going to tell you how it was that we came together and formed this team. Also, I'm going to give you some advices from my point of view to form a good working group. It May sounds weird, but first you must talk with everyone who are going to be your mates and possible candidates. If you can't talk, look for someone who can make it for you, or maybe you can do it by the social networks. You must talk, show what you want to do like something bigger than a dream, you can talk about it like a goal, a place do you want to arrive. The last people that were added to our team decided to join us because I talked to them about our project. We didn't talk about the money, because money isn't important at this stage, just the experience matters. We made hundreds of prototypes and a few games left in forgotten folders, until we did the first videogame to be released to the public. The result: thousands of downloads (the game is free), and they were not just players...There are people seeing that something is finished and if this has had some success, hey will come to you to help you in your next project. This is also a letter presentation for any candidate you're looking for, so you can show that you are able, even while you are building a prototype with squares. The thing is to do something to show what you can become. In our case, most of us are friends, although it was not always this way. When we started finding people, some of the team members were just acquaintances or motivated people to work with us, but with time, talks and chemistry, we become friends. Friends are good source for finding candidates, they are people that you know, and you know which are their skills and weaknesses, you know how they can help you.Believe in yourself and your projectThis is the most important thing. If you don't believe in your project, you will be practically doomed to failure. You must believe with all your might that the project will move forward despite everything, because you are the most responsible for not be forgotten.In the next post I will talk about the conception of the idea of Latte ​​Deconstruction. I'm going to leave you a preview of the evolution of the main character. Greetings, remember to follow us and share our post.